Semi-rigid wire choker and sepentina beads yellow-green-black with silver beads and rectangular green serpentine pendant. 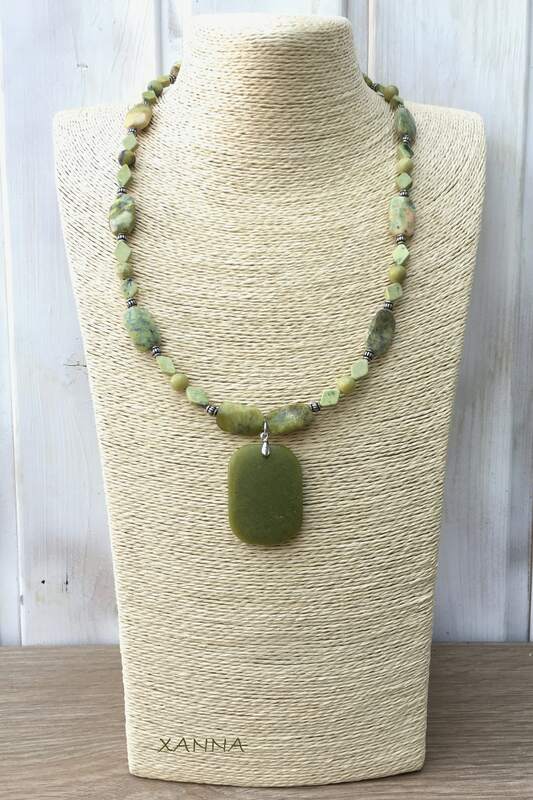 Total length of necklace with pendant: 26 cm. 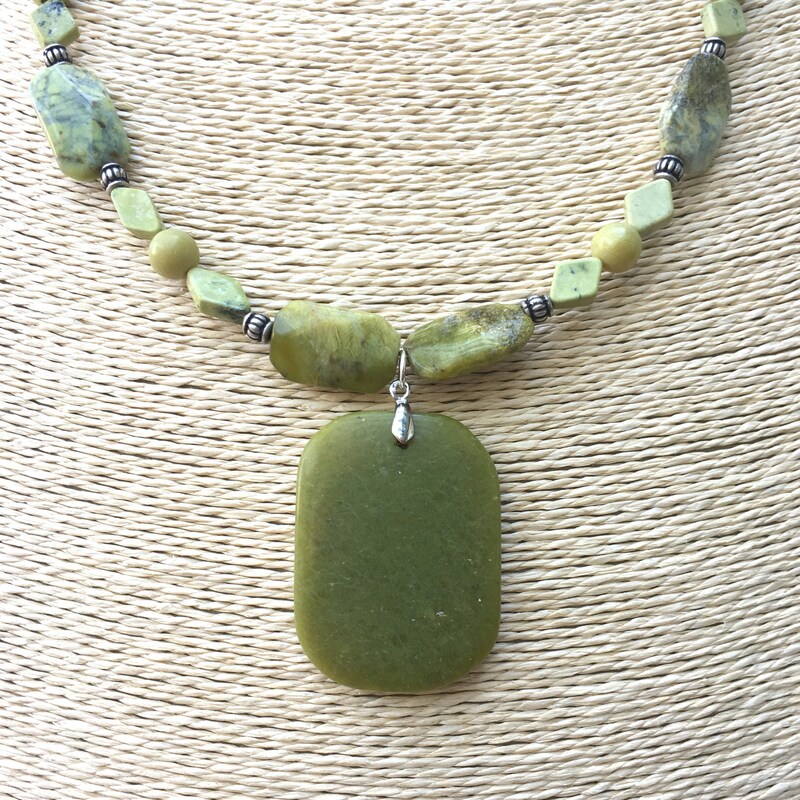 The Serpentine helps us with better control of our lives. It is believed to provide balance against the mental and emotional obstacles that we encounter. 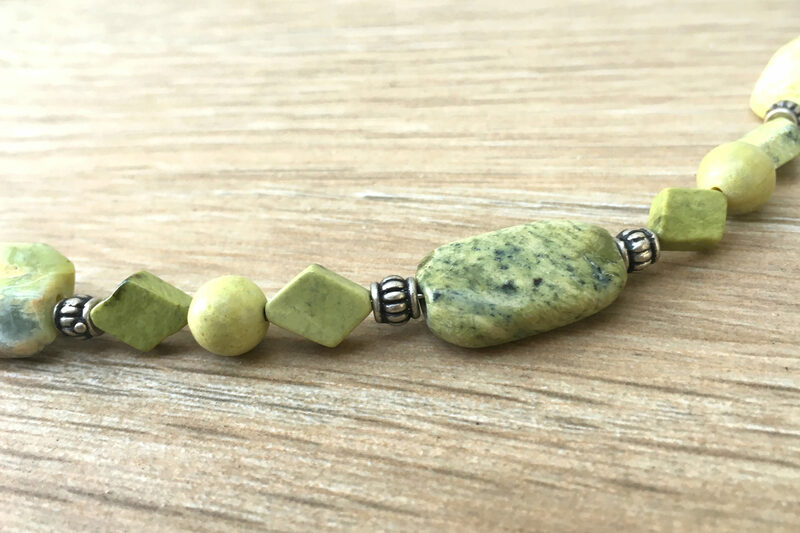 It is said that the serpentine balances mood swings, reassures in cases of nervousness and stress and protects against negative energy influences, allows us to find peaceful solutions to conflicts, helps to achieve inner peace, the Serpentine is An ideal stone for meditation and spiritual exploration, cleaning the chakras, fosters support and mutual help. With a lighter color it is called infinite Stone. Their actions are just as powerful, but more subtle.